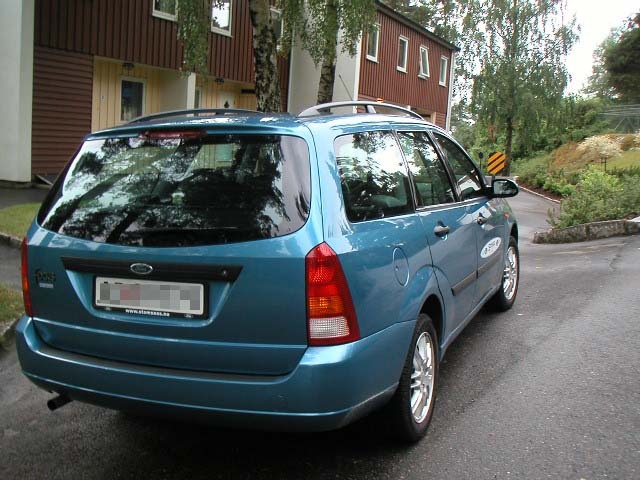 The car which I asked Ford dealer before has come. 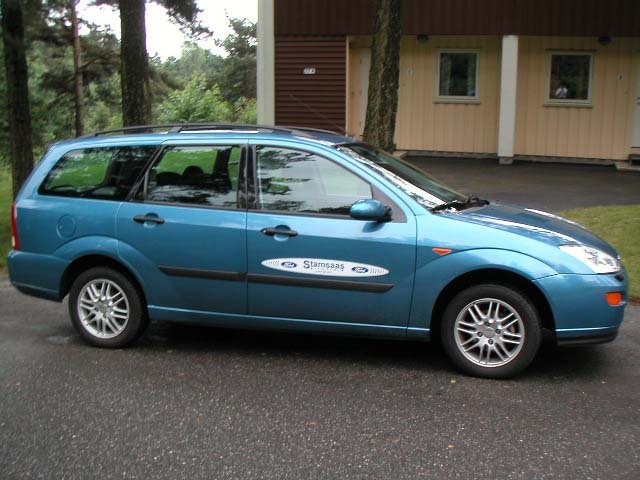 The car is Focus of Ford. In the first two months, I rent a station wagon with a manual transmission, and later I will rent a sedan with an automatic transmission. This is the station wagon that I rent first. It has the latest fashioned slant eyes. Cool! The side view is like this. The color of the car is fine, too. On the door, a sticker is pasted like this. 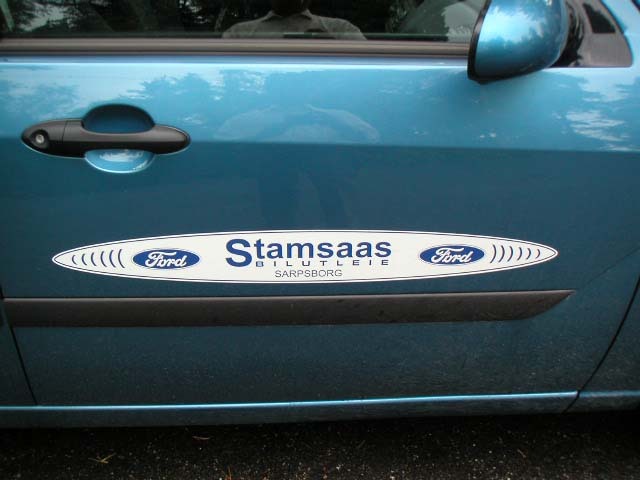 I drive this car with advertising Ford. I am a little bit ashamed. 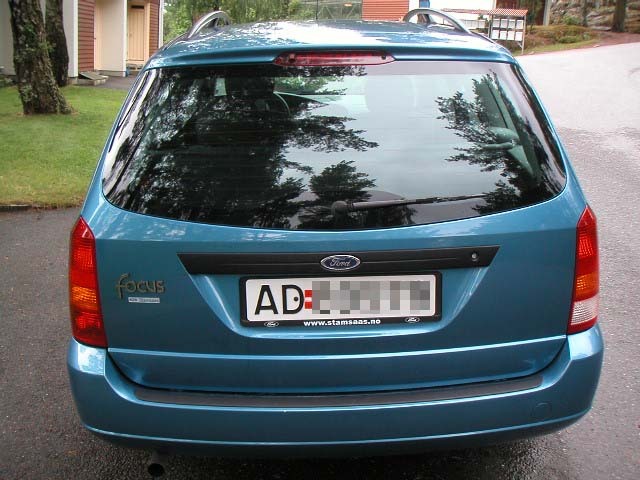 Because it is a station wagon, the rear has wagon shape. The back view is like this. On the left, you can see the logo "focus". 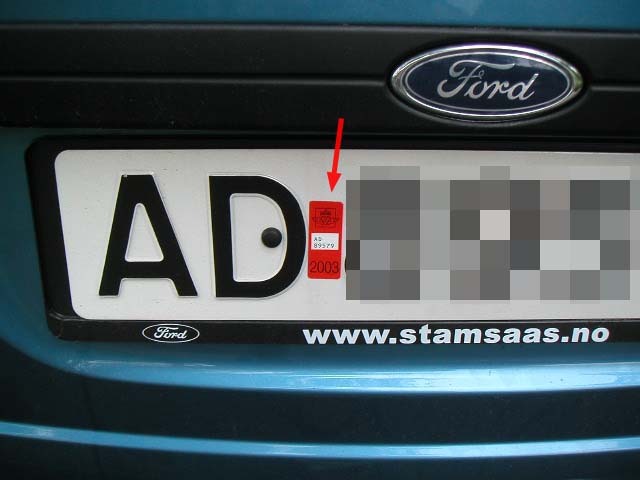 Looking at the detail, a red sticker is pasted on the number plate. It indicates that the weight tax was already paid. 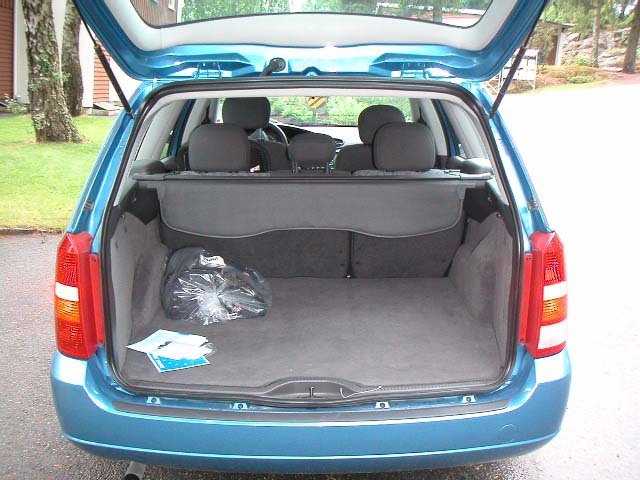 This is the view of when opening the trunk lid. 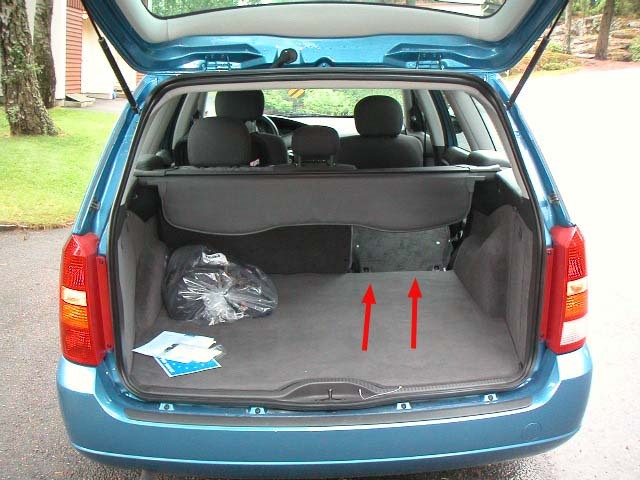 The rear seats has a function of separate holding. The arrow indicates the right seat holding forward. Of course, the cockpit is like this because it has a steering wheel on the left. The transmission is 5 speed manual. 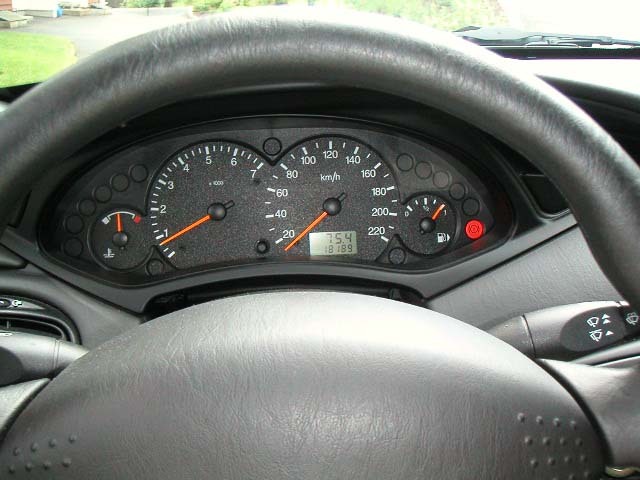 As seen in the odmeter, the present mileage is 18,189km. 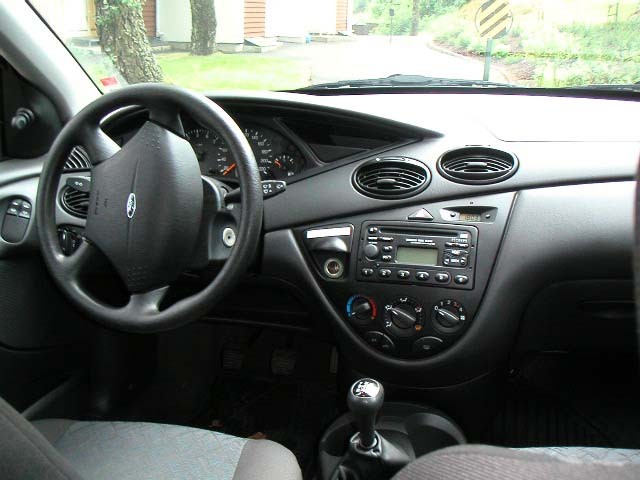 It has a car stereo with CD player. Remarkable thing is that it has an air conditioner. 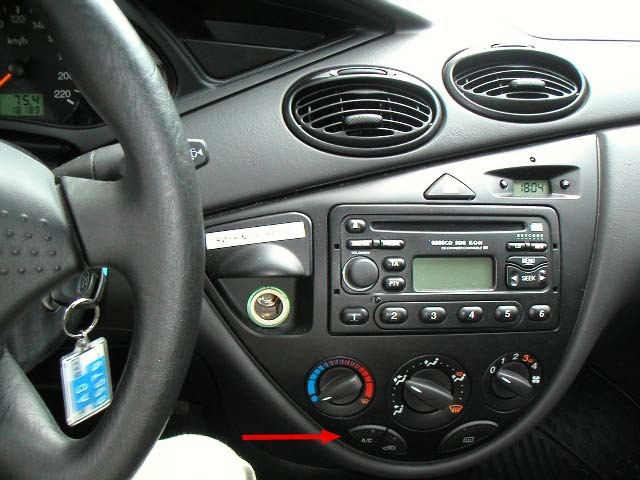 Here cars does not always have air conditioners. 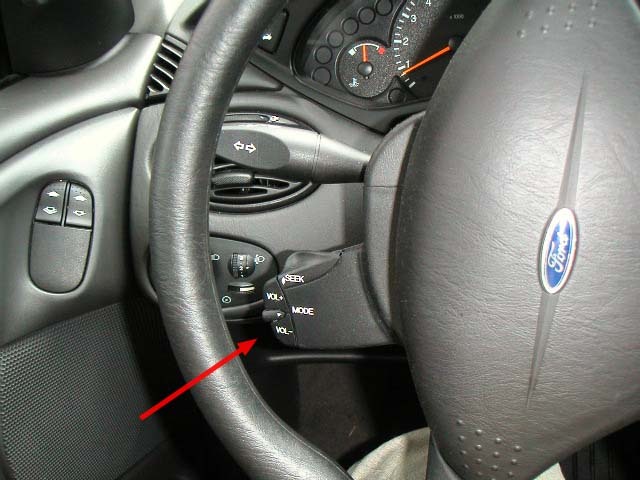 The car stereo can be operated by the lever on the left of the steering wheel. It is convenient. My BMW has the same one, and it is very convenient. 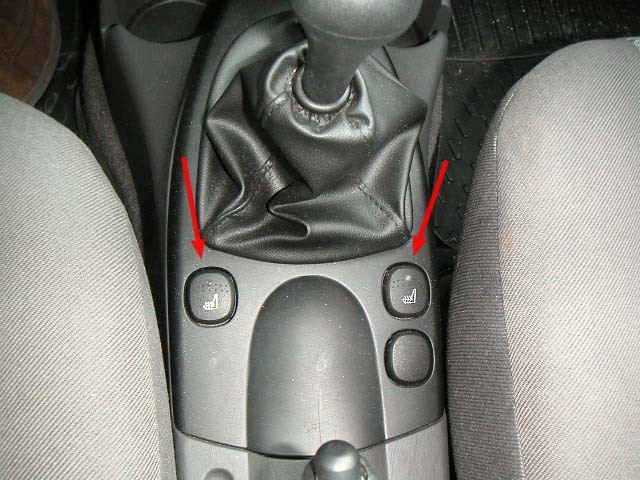 The control switch of head lights are on the left side. Here, we should drive with turning on the head lights even if it is day time. 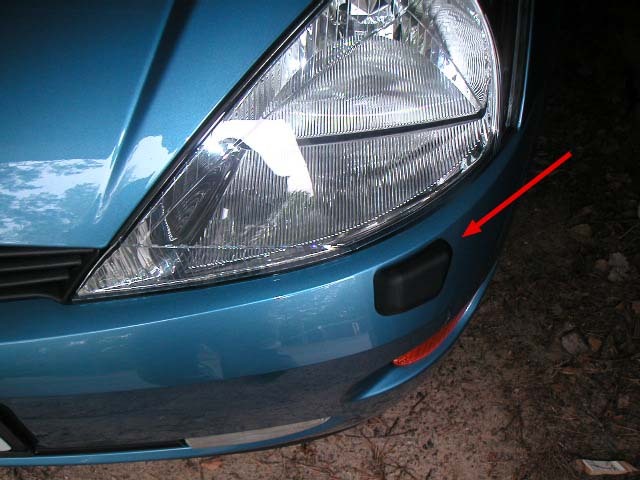 So that, cars for Scandinavian countries automatically turn on the head lights when starting the engines. 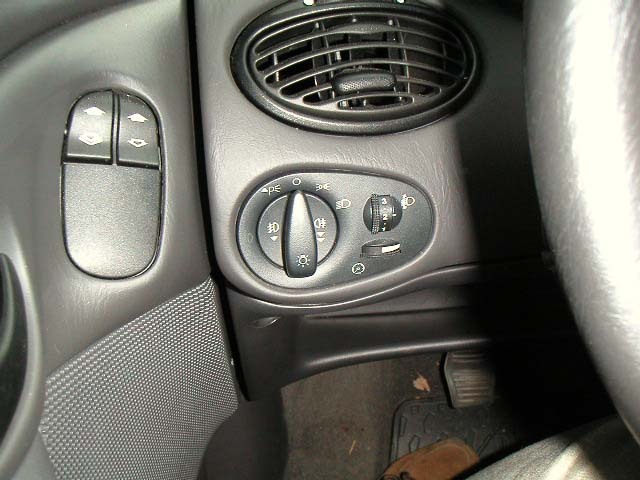 It has also seat heaters as a specification of cold place. But only on both front seats. Of course, it has head light washers. 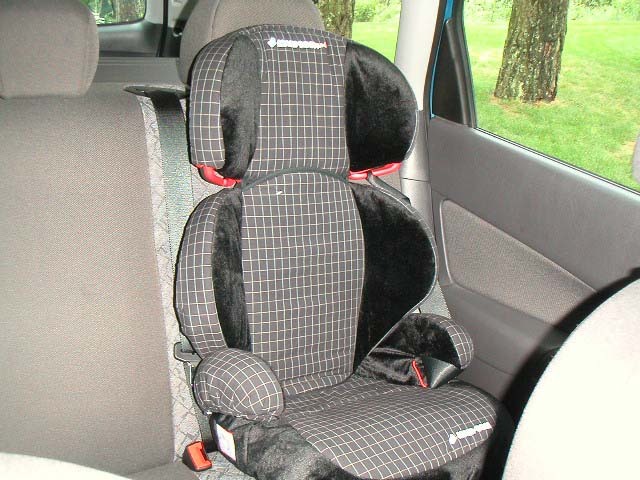 Because I have a small child, I bought a child seat. 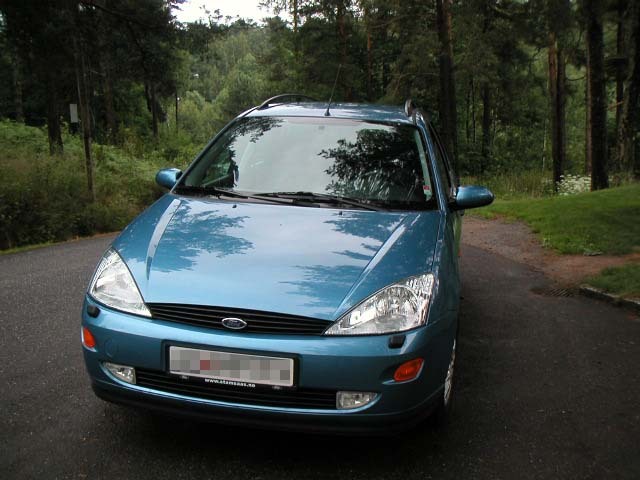 On the day when the car came, I bought this in a shopping mall of Sweden. The price seemed to be 1,200 Swedish Kroner. (1 SKr. = 13 Yen). By the way, Halden is located close to the border between Norway and Swede, so that only 20 minutes drive takes me to Sweden. The details will be explained near future. 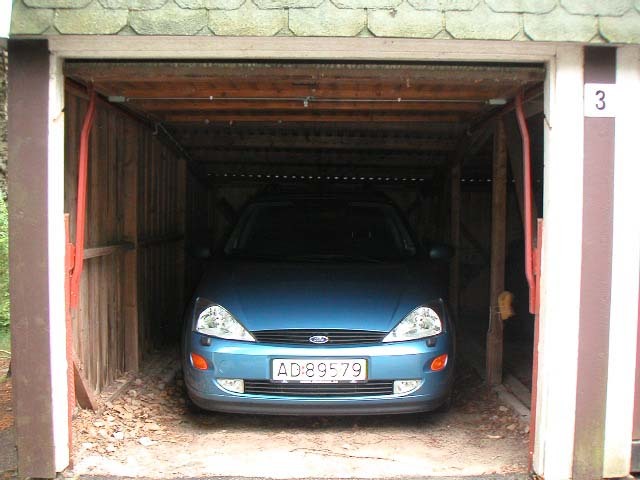 This shows that the car is in the garage. 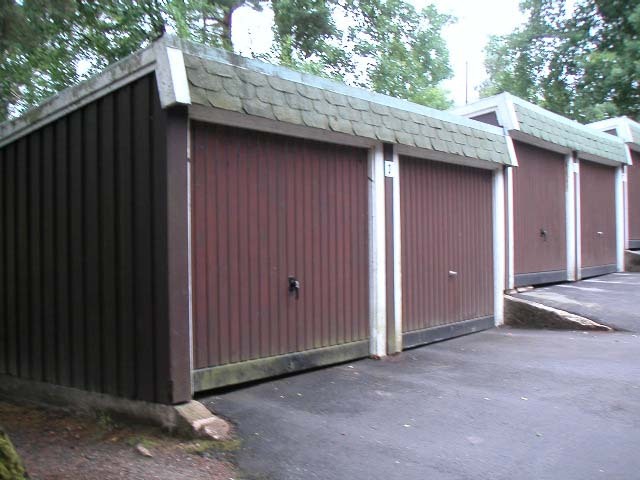 The garage is like this.